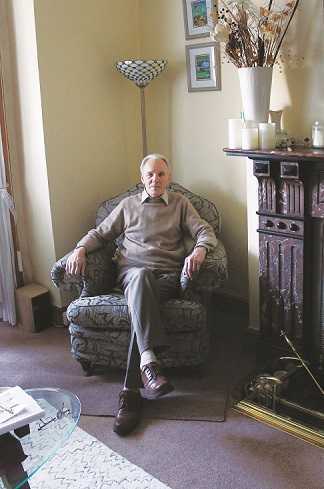 Conor Forrest sat down with retired D/O Michael Dineen to discover more about life in the fire brigade more than 50 years ago. 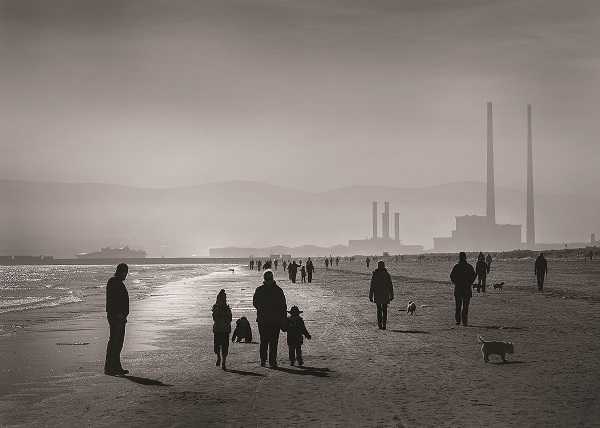 In their comprehensive book on the history of Dublin Fire Brigade, Tom Geraghty and Trevor Whitehead write of one of the worst attacks on the city of Dublin – something they refer to as the forgotten tragedy of the Troubles. The Dublin and Monaghan bombings took place on May 17th 1974, a series of co-ordinated explosions in both Dublin City and the centre of Monaghan town during rush hour. 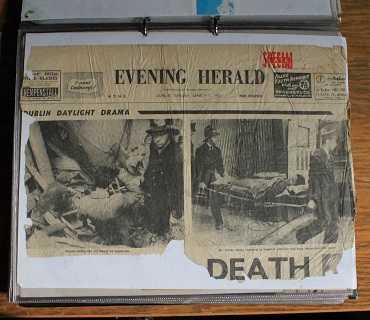 The first bomb was concealed inside a green Hillman Avenger on Parnell Street, and exploded at 5.30pm; the second went off at the same time on Talbot Street. The third exploded at 5.32pm on South Leinster Street, close to the railings of Trinity College. A fourth bomb went off around 6.58pm in Monaghan town centre. The streets of Dublin were busier as a result of a bus strike, but no warnings were given. “The explosions were heard in both Tara Street and Buckingham Street fire stations so the men on duty hurried to the engine rooms. Soon the control room in headquarters was alive with calls and fire engines and ambulances were being dispatched to the scenes of the carnage,” the authors recount. The bombs killed 33 civilians (some count 34, as a full-term unborn child also lost its life), while around 300 people were injured. No-one has ever been charged for the deadliest attack of the Troubles. One of these men was retired D/O Michael Dineen, he tells me, though understandably he doesn’t say much about what he witnessed on Dublin’s streets that day. “It was a sad day for the people that were killed,” he says. Attending such a grisly scene was difficult for all those who aided the sick and dying that day, as Michael notes. But, in the end, DFB’s firefighters had a job to do, and the mood didn’t change following the incident. “The fire brigade is the fire brigade,” Michael states sagely. 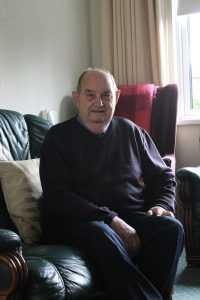 Michael was one of a number of firefighters present at another historic incident which took place in the capital in 1966. “I was there for the bombing in Sackville Place, when the pillar was bombed in 1966,” he explains. Built in 1808-1809, Nelson’s Pillar commemorated the famed British Navy officer, Horatio Nelson, and his victory at Trafalgar in November 1805. Despite criticism, it remained in place until March 8th 1966, when a bomb destroyed the upper structure of the pillar. The device had been planted by a number of former IRA volunteers, which some believe to have been in recognition of the 50th anniversary of the Easter Rising. Nobody was hurt, though a nearby taxi driver saw his car destroyed. Because it was too badly damaged, the Irish Army carried out a controlled demolition on the remainder of the pillar which, ironically, caused more damage on O’Connell Street than the original blast. Michael was very interested, and so began a long and enjoyable career with DFB. 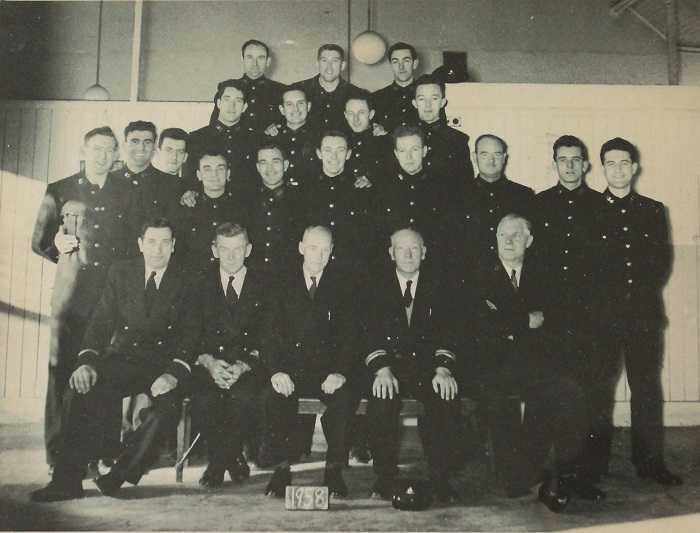 Beginning in 1955, he first spent a month in training at the Tara Street fire station, learning techniques and conducting pump and hose drills. 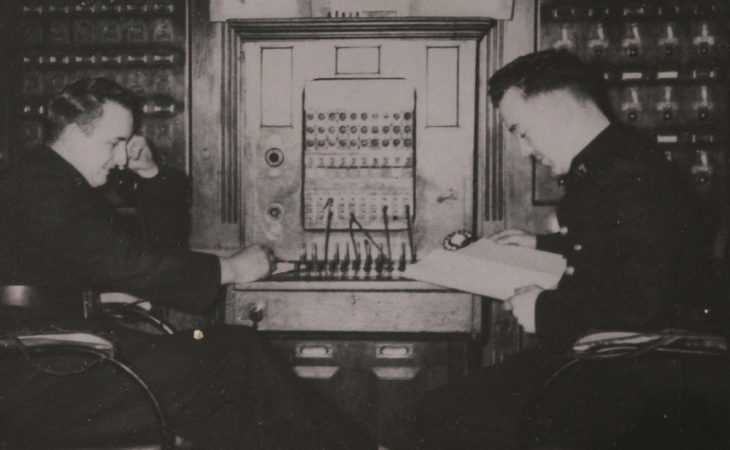 Having completed his training, his first posting outside of HQ was to Dorset Street, followed by spells in Buckingham Street and Rathmines fire stations – all since closed. He can’t, however, choose a favourite station. “They were all pretty good. There was good comradeship in all the stations,” he says with a smile. Throughout the proceeding years, and as he moved around the various stations, Michael’s career continued to develop. 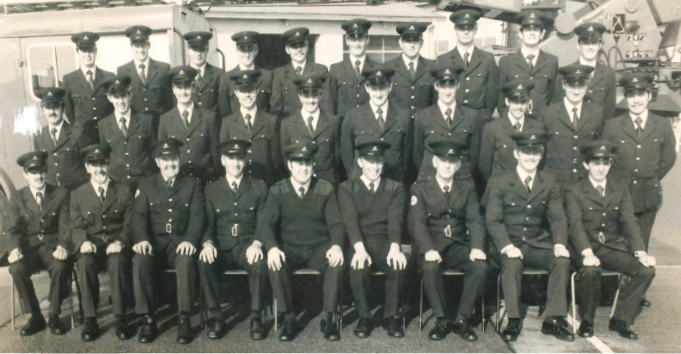 “I got promoted after seven years’ service, so I was a Sub/Officer.” The next step took him to the post of Station Officer, spending five years in Dolphin’s Barn and before he retired, he had achieved the rank of D/O, serving the final 12 years of his career in North Strand. Life in DFB back in the 1950s was undoubtedly very different. 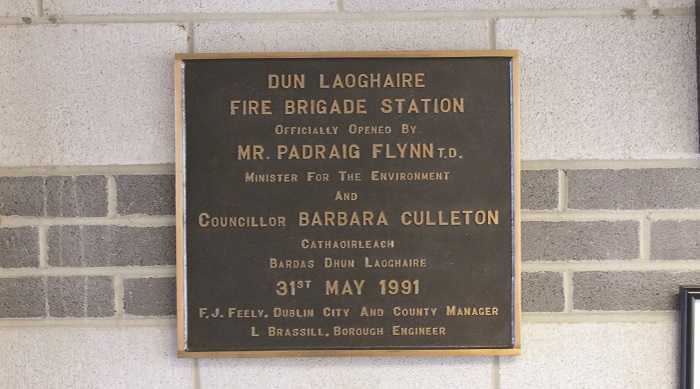 The fire brigade’s remit during this period was expanding – the Factories Act of 1955 meant that DFB was taking on extra work, required to inspect more than 250 city factory plans, deal with certificates, inspect public places including resort and lottery premises, and other areas of concern. 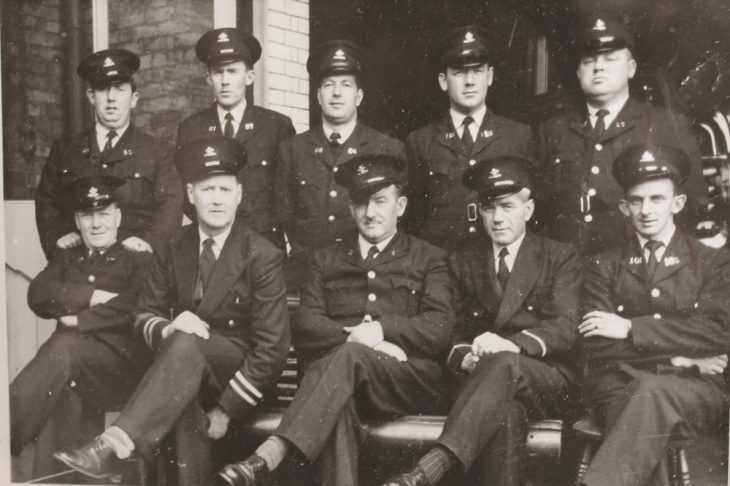 Two years later, in 1957, the auxiliary fire service was re-established, and chief fire officers across the country, including in Dublin, were tasked with training this new force. A 54-hour week would be reduced to a 45-hour week in June 1974, and down to 42 hours in April 1975. Gas, however, was the major challenge, he tells me. Throughout his time in the brigade, a number of gas-related incidents claimed a number of lives, and levelled buildings. 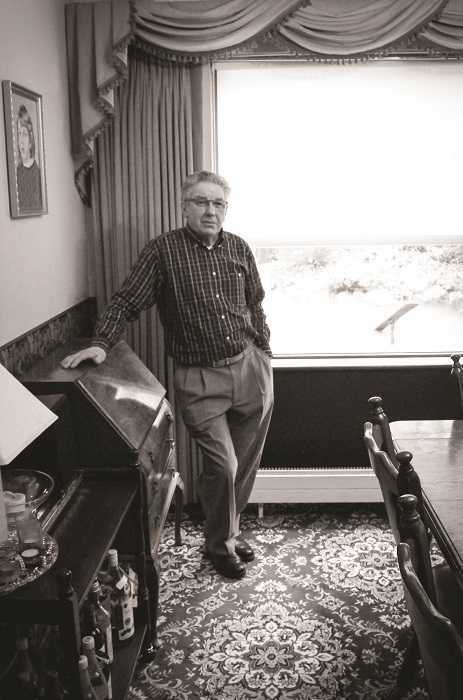 Tom Geraghty’s book, for example, notes a number of gas explosions, including one which destroyed two houses on Finn Street, in 1970, with two others suffering damage. Two months later, another explosion injured five people after a shoe shop on Glasnevin Hill went up in flames. “We were down in a block of flats down in the docks one day, and there were two lads who got gassed – the lads had to go in and pull them out. They (gas incident precautions) were pretty good [for example] you couldn’t switch anything on or off, or open the window,” he says. But it wasn’t all pressure and stressful situations. Michael recalls several trips abroad, of a social nature, visiting firefighters in other countries to share their experiences. “The firemen were very good. We visited Belfast and talked to firemen up there, and we went to Cork, and I went to England and talked to the firemen there, and I [also] went to America.” One of the places he visited in the US was Secaucus, a small town in Hudson County, New Jersey, a 30-minute drive from New York City. 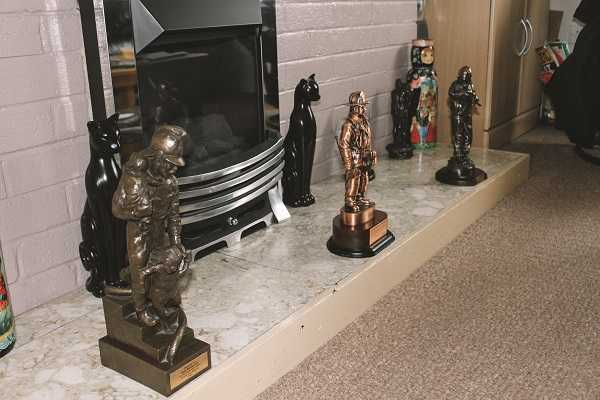 Instead of finding differences, whether in perspective or the way in which they operated, Michael found that those firefighters operated to the same standards as those back home. “They were more or less on the same level,” he recounts. 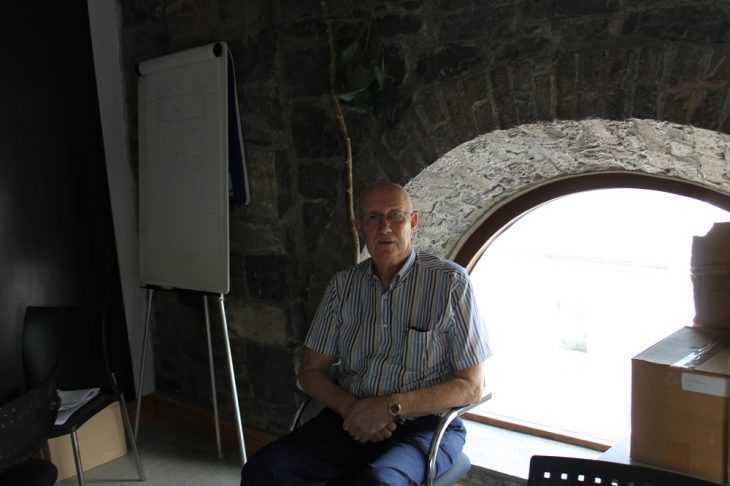 Conor Forrest sat down with retired District Officer Patrick Madden to discover more about a career well spent. 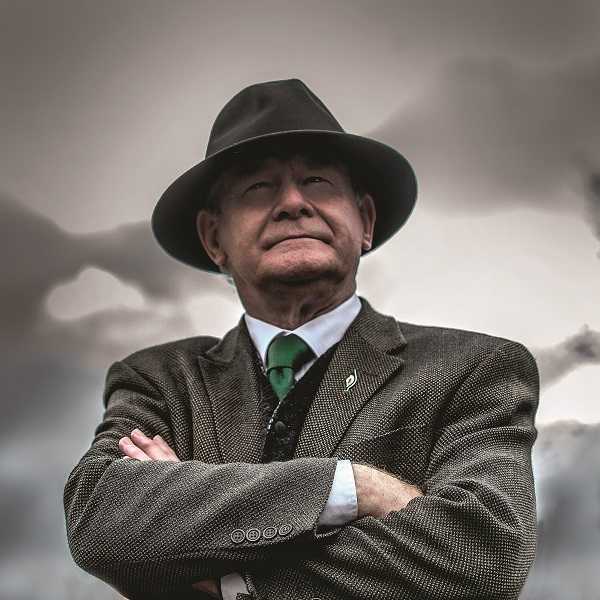 If you enjoy hiking through the mountain ranges of Ireland, Scotland and further afield, chances are you might bump into Patrick Madden. Retired from the job as a District Officer since 1995, the outdoors remain a great passion for the man from Glasnevin and, when I pay him a visit, he proudly shows me a photo of himself and his wife, taken at the top of Ben Nevis – the highest mountain in the British Isles. 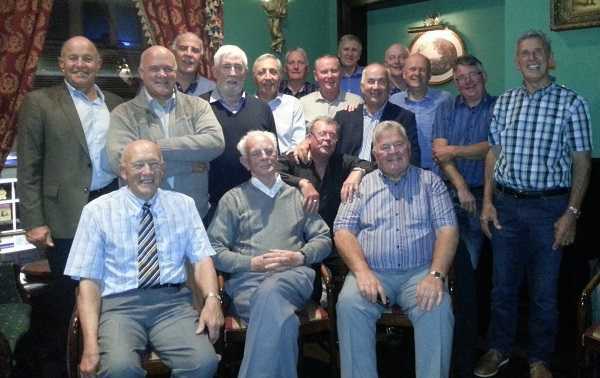 “I was at work one day and some of the lads said they were going hill walking. I asked if I could go with them – that’s nearly thirty years ago now – and I fell in love with it,” he says. 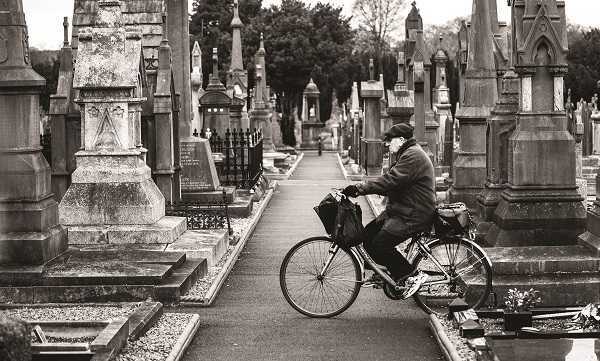 A move to Chapelizod beckoned, and the family relocated to the quiet area sitting in the shadow of the Phoenix Park. Patrick recalls with a smile that he would cycle into the city on Christmas Day on a mission to deliver the Christmas dinner to his father, who by then was working in Buckingham Street. Patrick loved being around the station, chatting with the firefighters and admiring the polished engines – somewhere in those visits, a small spark was ignited. 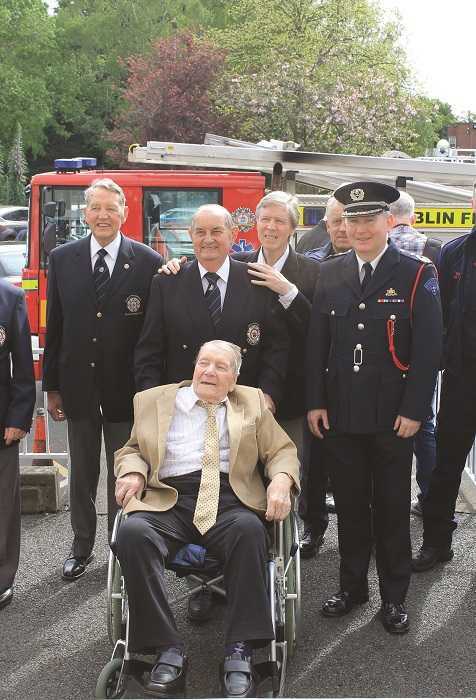 “It was great – meeting the lads, seeing the fire engines and everything so clean and spotless. I really couldn’t have seen myself working as anything else,” he tells me. It was during his time in Dorset Street that the Noyeks timber factory fire occurred – in 1972 – an incident Patrick remembers well. “I had only been on the premises a few days before. We knew a lot of the staff who went by Dorset Street station on their way to work, and you’d often say hello to them. It was a terrible tragedy, eight people killed – a very sad occasion,” he says. By coincidence, several years later Patrick brought his car into a garage for repairs, and got chatting to the mechanic about his work. When he discovered Patrick was a firefighter, the mechanic revealed that he was a brother of one of those who lost their lives in the blaze. Not all of his memories are sad ones, however, and Patrick recalls a serious fire at the Central Hotel on D’Olier Street. Despite being trapped by the flames, many people were rescued. “I was so proud of the lads and the job they were doing,” he says. For Patrick, his father and many of their respective generations, working in the fire brigade was most definitely a calling, as pay was low and many other occupations could provide a much more promising financial incentive. Though he opted for life as a firefighter, Patrick was initially offered a position in hotel management, by a man he had worked with in the Russell Hotel in Stephen’s Green. “My father was earning something like £12 a week, and I was earning £20 or £25 in the bar business at that stage – it was incredible, the difference. Many men down through the years dropped money to join the service, and that’s called having a vocation,” he explains. 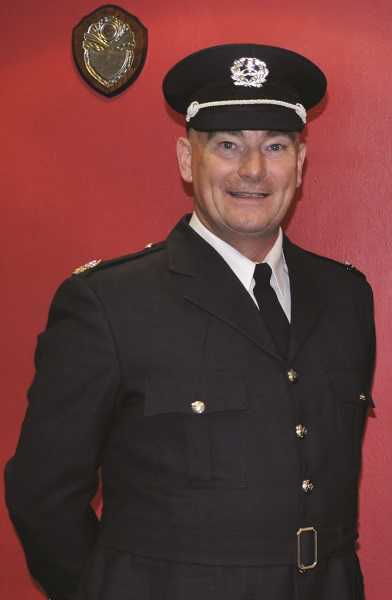 His departure from Dorset Street after 12 years was brought about by a promotion to Sub Officer, and Patrick spent the next few years doing relief work across a number of stations. His next, more permanent, post was in Finglas, where he arrived as a Station Officer following the death of his predecessor in a road accident. He would remain there for eight years. 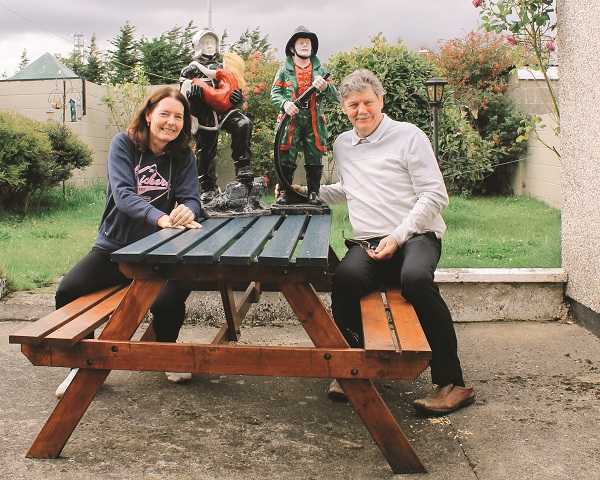 “It was a very busy station, covering Ballymun, the Airport and all of North County Dublin. It was a busy station but it had a great crew – I really enjoyed working with them,” he tells me. After another stint at HQ, Patrick moved to Phibsboro, which had replaced the now defunct Dorset Street station in the intervening years. Chances are, one of Patrick’s exploits (and those of his crew) during this time were caught on camera, and could be gathering dust in a musty archive somewhere in Donnybrook. On turntable duty one Sunday lunchtime in Tara Street, a call was received concerning a fire in a building near Moran’s Hotel on Gardiner Street. With the fire having taken hold in the lower floors, a number of people were trapped. The turntable crew sprang into action and rescued those inside, with no injuries or deaths. His time in Dublin 7 saw him promoted once more to District Officer, with a move to the O’Brien Training Institute not far behind. Moving from shift work to regular office hours was something of a shock to the system. 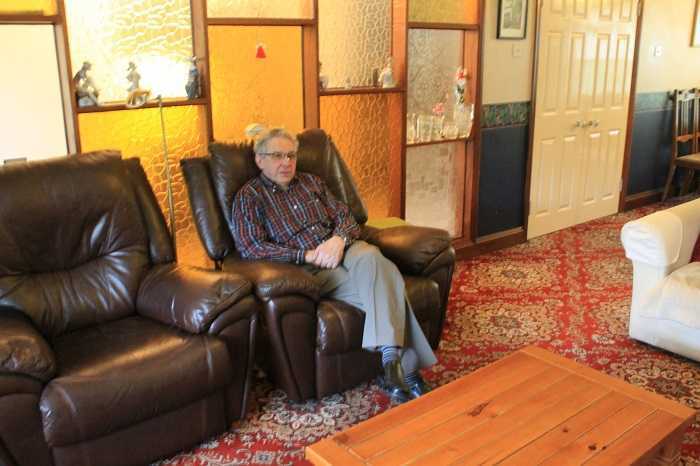 “I was a bit dubious about it at first. I had been on shift work for those years, and then to be going in 9-5…” Having his weekends off, however, was a very welcome change. “I didn’t realise how many weekends I had missed when working the shifts, you just took it for granted, you went in and did the work,” he adds. Following two enjoyable years at the training centre, Patrick retired in 1995. It wouldn’t be fair to say, however, that he is taking things too easy in his retirement. Having decided that he would remain an early riser, Patrick is quite active – on the several mornings he goes swimming, he’s at the pool for 7am. Once a week he hikes with his wife Clare and their friend John Williams, whose father was in the fire brigade, in the Dublin or Wicklow Mountains, and they often travel away to take in a different view. He also enjoys being an active member of the Retired Members Association, which keeps him in touch with those he might not otherwise see. 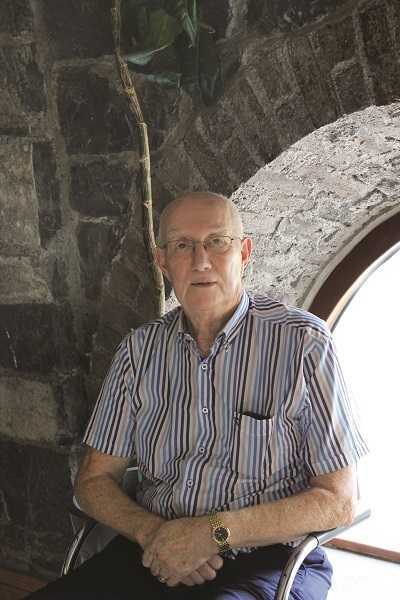 From planting the seed for Firecall to entertaining Russian firefighters after the cold war, retired D/O Damien Fynes recounts an interesting and eventful life. One might say that Damien Fynes has had both a fortunate and interesting life. Take an incident that happened before he ever joined the fire brigade. Back in 1974 his wife Ann worked in the GPO, and Damien would pick her up and stroll down Talbot Street to catch the bus. On May 17th 1974 the buses were on strike. Damien had ten shillings in his pocket and on a whim, instead of making for Talbot Street, they went for a drink in a pub on North Earl Street. Not long after they sat down, one of three bombs detonated on Talbot Street near the junction with Lower Gardiner Street, killing twelve people immediately, in an event that would become known as the Dublin and Monaghan bombings. 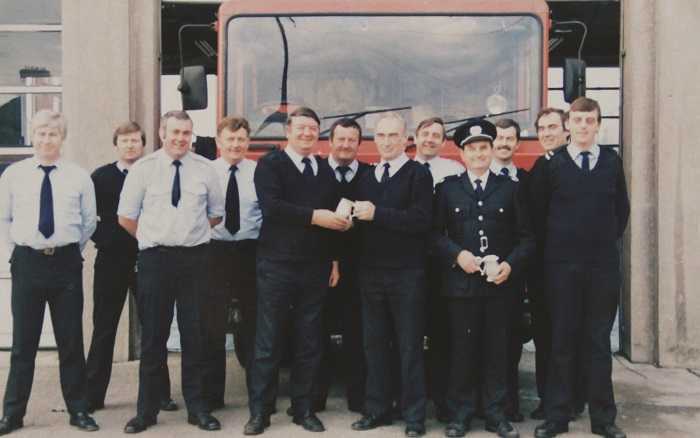 Damien joined DFB later that year and was posted to B watch Dorset Street for two years alongside Martin O’Brien, who he describes as one of the finest firefighters he ever worked with. 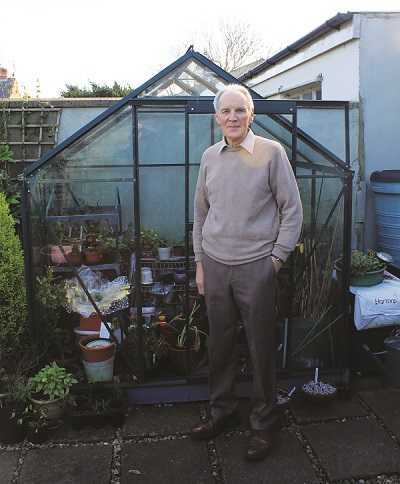 It was during these initial years that he and Martin decided to launch a publication which started off as Brigade Call, eventually morphing into the magazine in your hands today. Having moved to Buckingham Street when Dorset Street closed, Damien began to move up through the ranks, first securing promotion to sub officer on B watch and then D watch, where he would remain for the best part of his career. Further promotions resulted in a move to Dún Laoghaire as station officer on D watch, and he retired from No 3 having served as a D/O on D and then C watch. 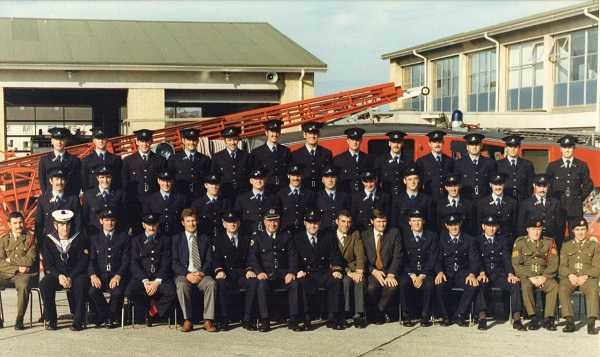 In early 1978, just after his return to the job following an ankle break, he was among those who responded to a fire at Burgerland on O’Connell Street. A number of children were reported to be trapped in a crèche on the top floor – Damien and several other firefighters, including sub officer Fergus Ingram, went in to rescue them, though they had to turn back due to the intense heat (later it emerged that the children had been removed safely from the burning building). During the mop up operation, while he was removing a neon sign with Tommy Giffney, the sign swung loose and spun Damien’s ladder. Falling heavily on the ground, he lost all sensation in his legs, and was rushed to Jervis Street. 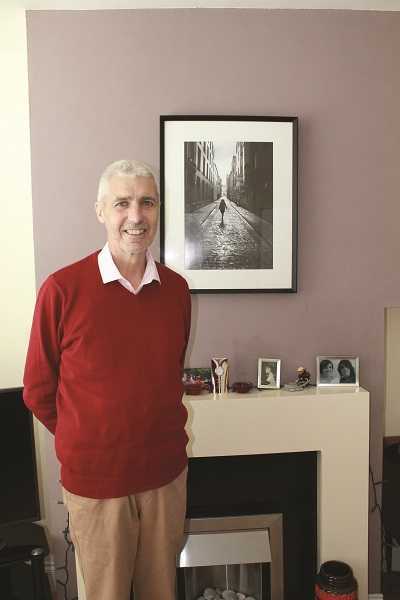 Although he left the hospital later than evening on foot to catch a bus to Raheny, Damien later discovered, after a trip to climb the Nine Dragons in Hong Kong, raising funds for DEBRA Ireland with the assistance of DFB many years later, that the accident had resulted in several crushed discs in his back. Luckily a five hour operation proved successful and, despite an offer of early retirement, Damien returned to work, keen to get back to the job he loved. It was also that personable attitude that resulted in an invitation to France on behalf of the French Fire Brigade. While he was serving in No 3 as a D/O, there was a knock at the door one day from a French firefighter and his wife. Having invited the visitors in for coffee, Damien then fired up the D/O’s car and brought them on a mini-tour of the city. Three weeks later Damien, alongside two other firefighters, received an invitation to France to take part in an event celebrating the French fire service. Welcomed as VIPs, they took part in a line up inspected by the president of the French fire brigade, the only non- French personnel given that honour. Alongside Brigade Call, as the Sports and Social Club publication was first known, Damien was also a founding member of another DFB institution – the Pipe Band, the result of a simple conversation with John McBride, sparked from marching behind a pipe band in the Dublin St. Patrick’s Day parade. “Did you ever get an idea that just lights you up, and you become so enthused with it that you’re thinking about it all of the time? That’s what happened there,” he says. Getting the band up and running was no mean feat, particularly during the 1980s – set up costs were estimated at £40,000. 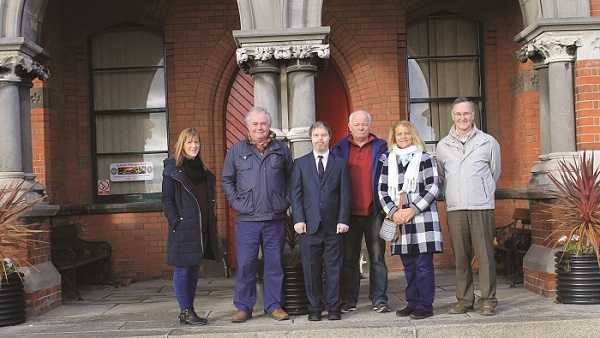 Despite initial difficulties, a plan was enacted which involved a loan from the sports and social club, paid back through the weekly subscriptions of members, the same model still in use today. A committee was elected, with Damien taking the role of chairperson, and Joe Brennan acting as secretary. 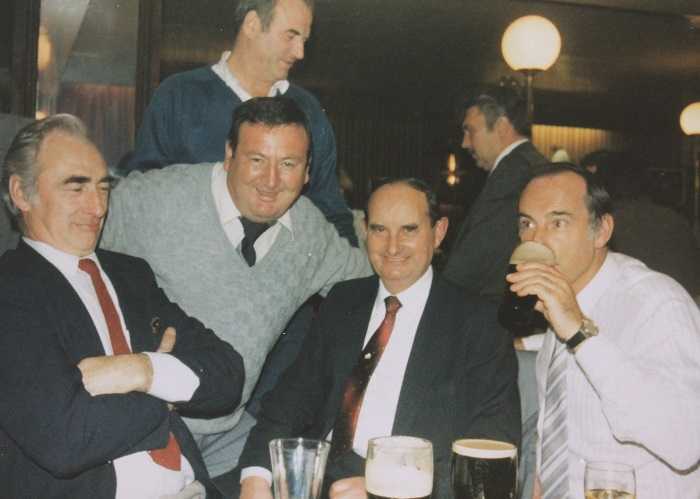 Joe, who later retired as a D/O in Finglas, was one of the driving forces behind the band’s success, alongside Barney Mulhall, Tony Daly (now deceased) and Gerry Aldwell. Their first major event, however, almost ended in disaster. Joe Brennan was approached about a gig in the National Concert Hall, with a brochure and performers to be funded through advertising organised by an external company. Two weeks beforehand, they got a call to say that the deal was off. Damien was faced with paying Damien leading of the group, and with no mobile phones the phone was usually brought to the table. “By the end of the week these Russians thought I owned the city because ‘Damien, phone call for you’ – everybody knew me!” he explains. Following the parade on St. Patrick’s Day, the group returned to Wynns Hotel where the visiting firefighters were staying, and Damien was summoned upstairs to attend to an urgent matter with one of the generals, bringing Peter Barriscale along with him for support. Both were brought to the general’s room and told to sit on the bed. Perhaps understandably uneasy and confused, they watched as the door suddenly burst open and a dancing Russian entered playing the accordion with great gusto, followed by the general in full dress uniform. It transpired that the generals had experienced such a great time, they wanted to present Damien with the Russian flag, a huge honour he was assured. During their tour around Moscow and its environs the DFB group were treated as the most important of VIPs, aided by the presence of General Rubtsov, a national hero – wined and dined at the opulent Chudov Monastery, shown around the Russian cosmonaut training centre, brought the transport costs of the Garda Band who had been hired to perform, and for the hall itself. The committee went into action. Tickets were drawn down and sold by members and the brochure was printed on a Communist Party print press, arranged by Tony Daly, who also took on the role as MC in the concert hall. In total, the band made £800 profit. Refusing to touch that money, he explains that he spent around two months’ worth of mortgage payments in buying drinks for those who helped make the night happen. “Without Ann’s involvement or without me putting my house on the line, it would never have happened,” he says. One of Damien’s stand out memories is both highly entertaining and almost unbelievable. The year was 1993, the Cold War wasn’t long over, and American firefighters were coming to Dublin to march in the St. Patrick’s Day parade. In the spirit of reconciliation, an invitation was also extended to the Russian fire brigade through Ann’s brother-in-law, who had business in Russia, with their air tickets sponsored by another brother. Seventeen stepped off the plane in Shannon, including 13 generals and a member of the Ministry for the Interior (formerly the KGB), who sent a fax before their arrival requesting that his presence remain a secret. Included in the party was one General Rubtsov, who had received acclaim as the commander in charge of the fire in Chernobyl in 1986. “That was the start of the biggest adventure of all,” Damien recalls. The following week would prove to be an interesting one, filled with sightseeing, functions in Guinness and the Russian embassy, and some memorable events that must remain untold. Damien was placed in charge of the Russian contingent, as it had been his idea to invite them over, showing them around the city and ensuring they were well fed (various establishments around the city fed the Russians at no cost). Damien often took calls at the restaurants or pubs from other members on a shopping expedition from which most members of the group returned with pairs of skis for $1 (despite the absence of snow in Ireland) and were guarded by a unit of Spetsnaz (Russian special forces) at their hotel throughout their stay. 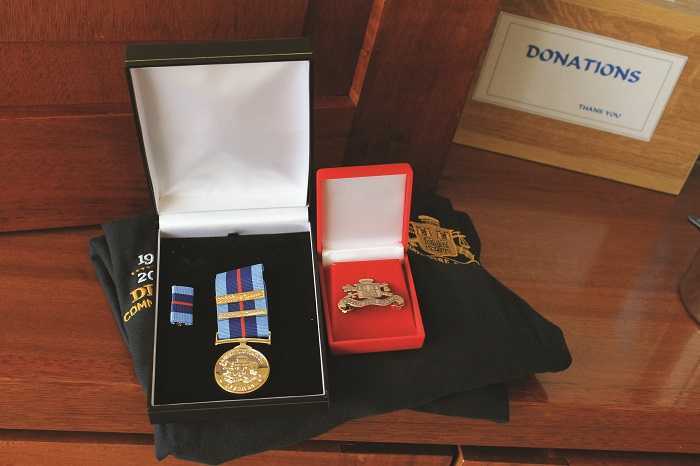 During a visit to the fire brigade museum, they were shown a section containing all of the presents given to the general in Ireland, including a photo of Damien and the group. A musical session in Moscow’s Gorky Park with the Russian Army No 1 band and a feast at Mikhail Gorbachev’s summer home rounded off a trip that nobody involved has ever forgotten. Though another Russian visit to Ireland was planned, a visa issue meant that the Russians never boarded their plane, and they never heard from their friends in Moscow again. These days, Damien still keeps busy. 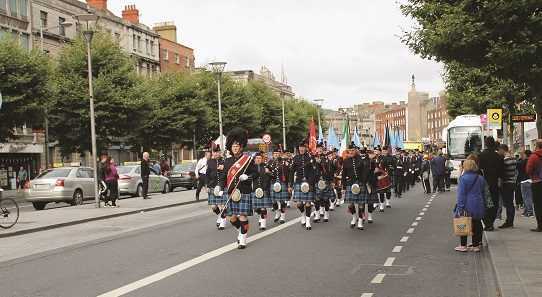 An active member of the Retired Members Association, he also continues his role as drum major with the Pipe Band, which says is still looking for recruits, and occasionally meets with firefighters from other countries, showing them around Dublin city. 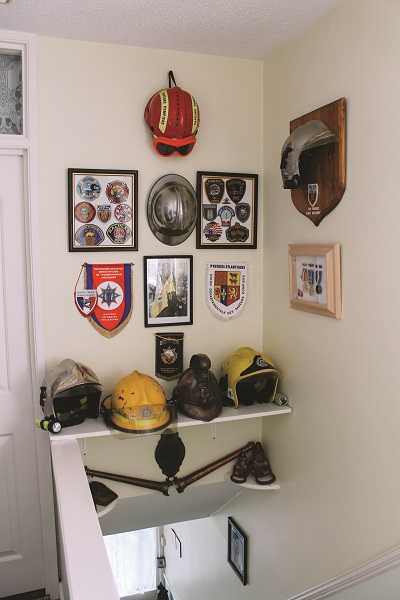 His sons Dan and Chris have both followed their father into the job, and he has shared with them his own personal motto – never take no for an answer, one that has served him well throughout the years in the fire brigade (and outside).